Keep them coming! If all the fire rising posters, the exclusive photos, and TV spots weren't enough, the news has it that Batman and Catwoman will grace the cover of Empire magazine, the July issue will go on sale on May 31st. 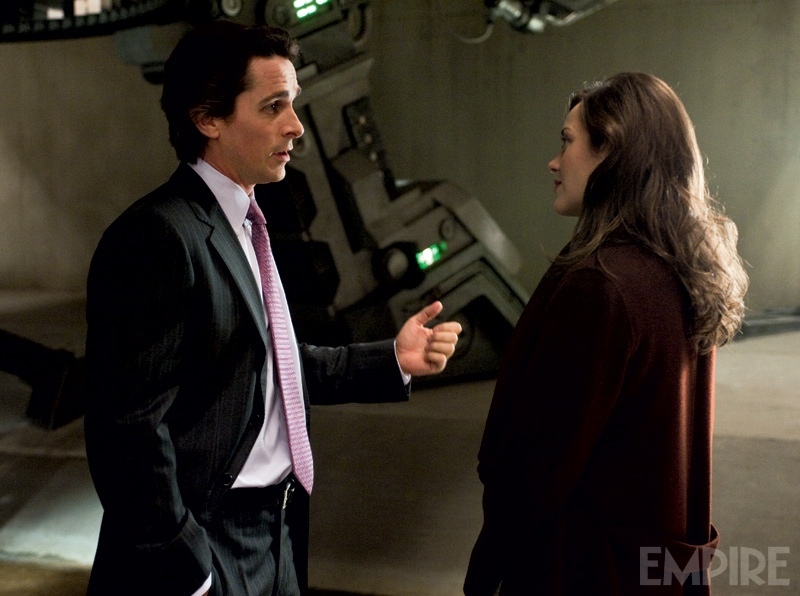 Inside will be a massive 23 page preview of Christopher Nolan’s The Dark Knight Rises, and tons of new photos. Empire has already uploaded 4 of those photos online, hit the jump to check them out! The Dark Knight Rises stars Christian Bale, Tom Hardy, Ann Hathaway, Michael Caine, Gary Oldman, Morgan Freeman, Marion Cotillard, and Joseph Gordon-Levitt and opens on July 20th. Leave a comment below and express your excitement.